"Small but terrible" is a usual saying that we hear every now and then. Truth is, that statement is valid since our Creator has made all things equal. The same statement applies to the NudeAudio Move S Wired Portable Wired Speaker, which I had the chance to try out with my BlackBerry Q10 and Samsung Galaxy S4 smartphones. 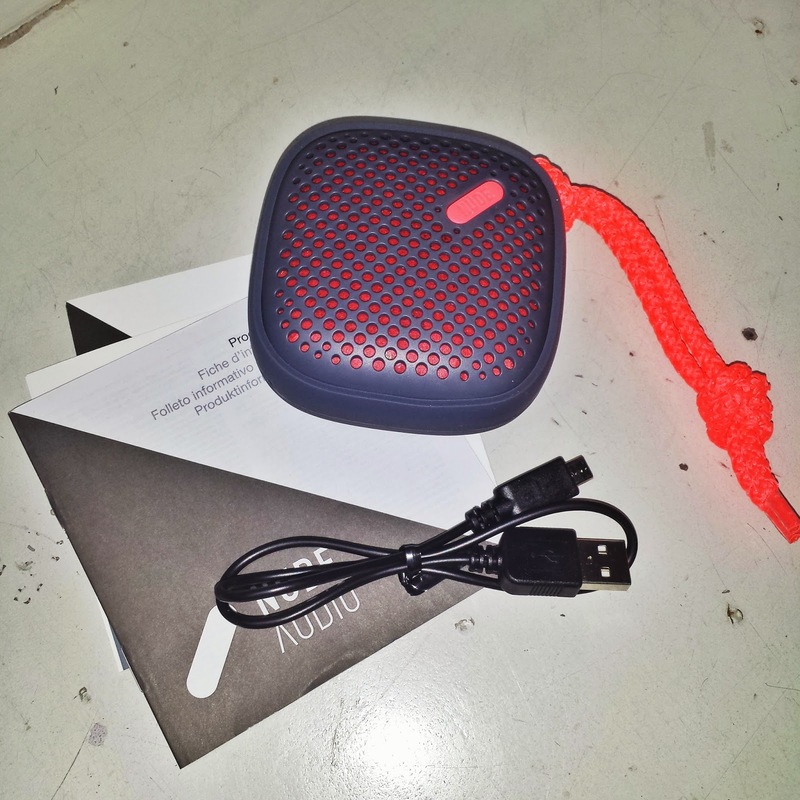 Unboxing the NudeAudio Move S Wired reveals a very simplistic packaging with the following contents: charcoal/coral portable wired speaker, a micro USB to standard USB cable, and a quick start guide manual. 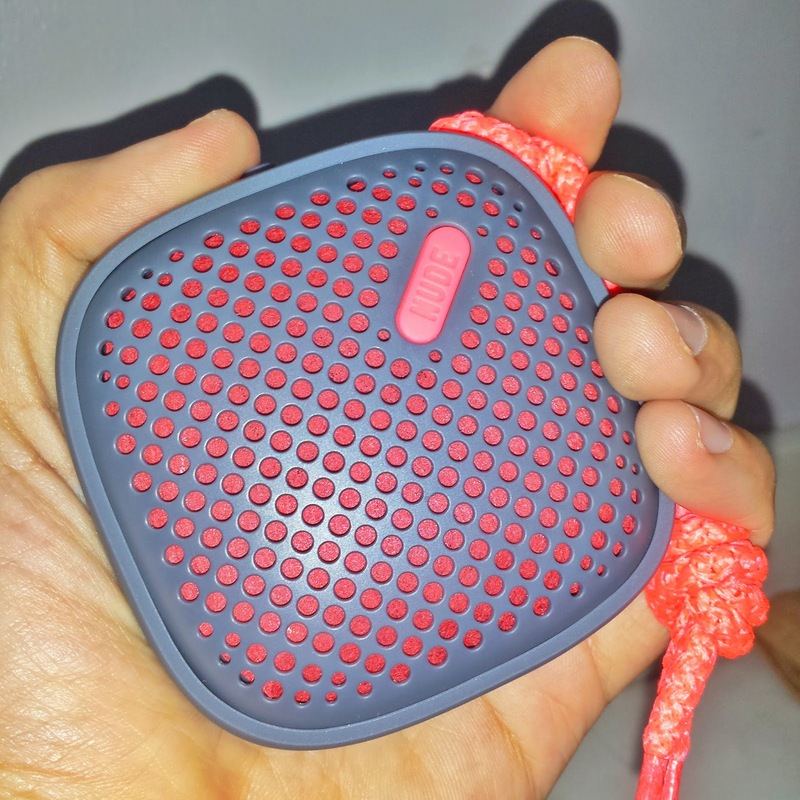 The Move S Wired looks very similar to the Move S, which is a Bluetooth speaker. 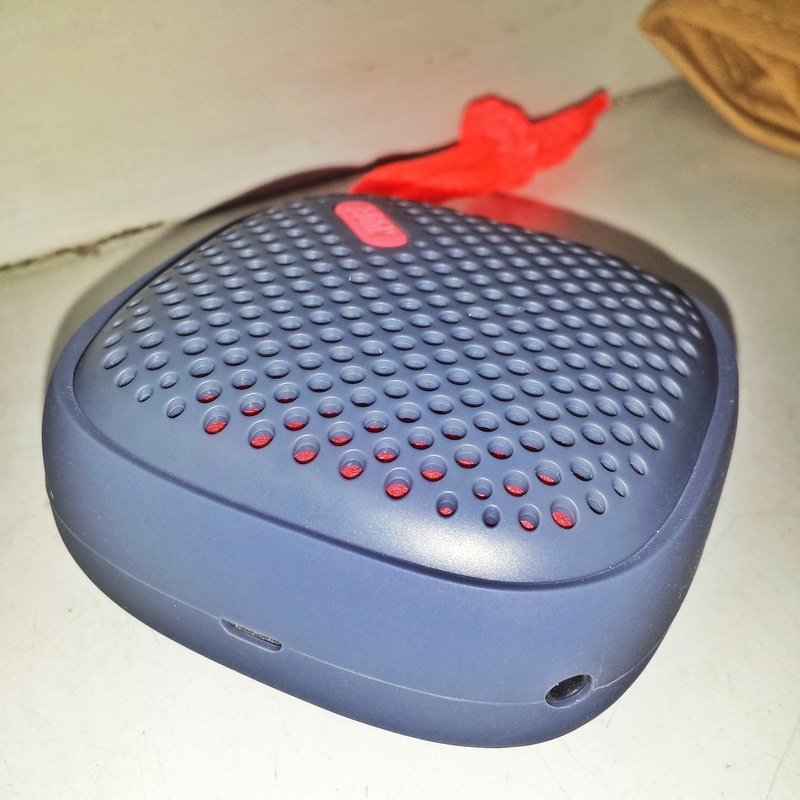 Its silicon sleeve is thick enough to protect the speaker against bumps and knocks. Meanwhile, the size is very portable, and in fact, fits in the palm of my hands and pocket. 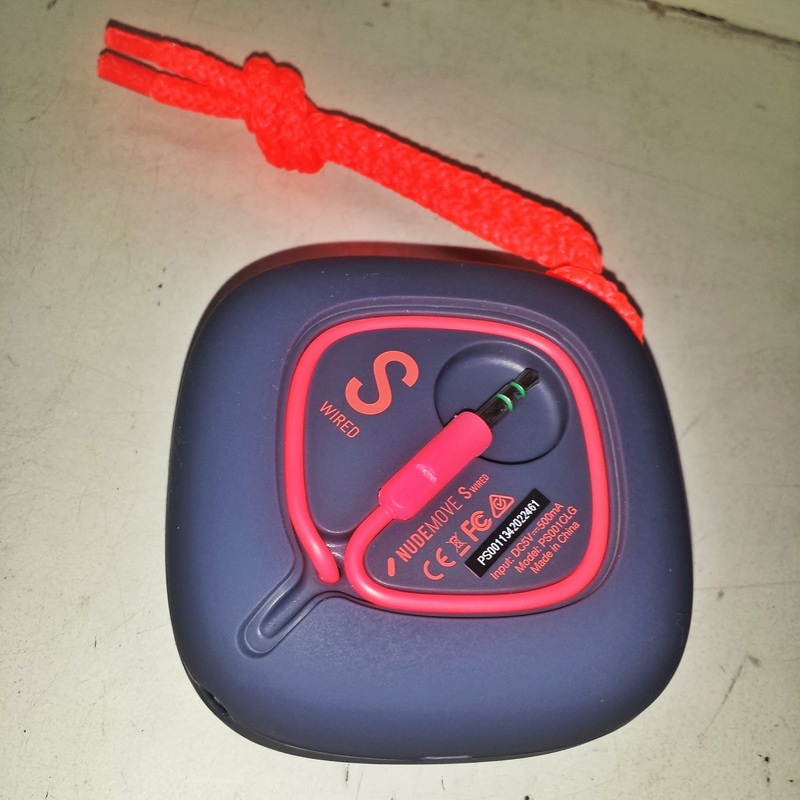 The design of Move S Wired is very simplistic. In fact, it looks a bit boring, not until I switched it on and tried the sound of the speakers. It is powered by a rechargeable Lithium-ion battery that can last for 8 hours. Fronting the NudeAudio Move S Wired is the actual speaker. On top is the power button with a green light that illuminates once it's pressed and turned on. At the left side is the micro USB port used when charging the speaker, while at the lower left is the 3.5mm port used for connecting one speaker to another speaker for a louder music. 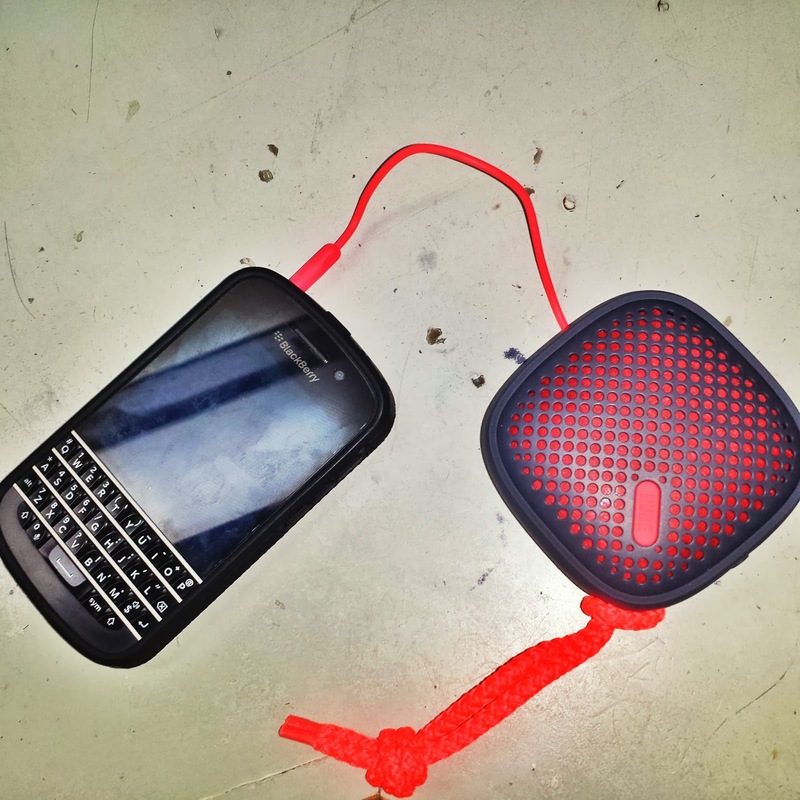 As the speaker is a portable wired speaker, it has a built in 3.5mm cable that is capable of connecting to smartphones and tablets alike. This is great for beach trips and those times you're just beside the pool reading your book. This speaker isn't a small, loser, piece of crap gadget. In fact, it does very well with what it's supposed to do. Though small in size, the music that comes out of it is very clear, with enough balances of treble and bass. Depending on the quality of the music file you're playing, at times it may sound a bit dispersed if the volume is too high. The NudeAudio Move S Wired portable speaker retails for Php1,290.00 and is available in Beyond the Box, Digital Walker, and Digital Hub branches nationwide.